The project Clean Peptide Technology by Sulfotools GmbH im among 100 innovative awardees of the German competition "Excellent locations in the land of ideas" 2018. Within the topic of the year, "Connecting worlds - strengthening cohesion", the project shows how the joy of experimentation, curiosity and courage to rethink can lead to forward-looking innovations in the field of chemistry. 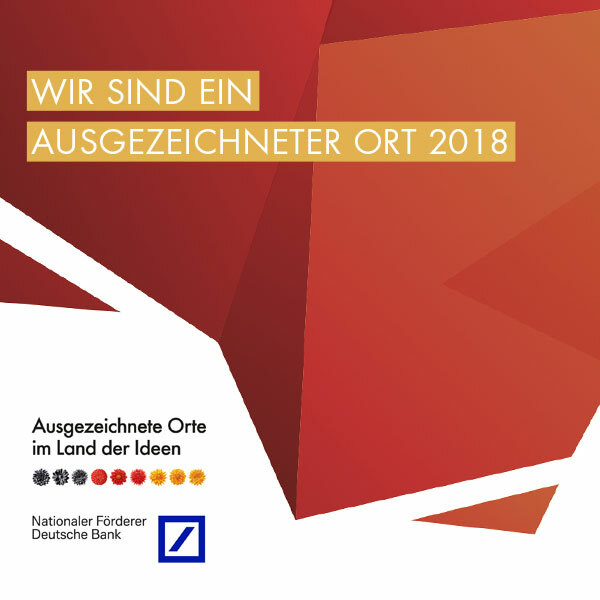 The initiative "Germany - Land of Ideas" and Deutsche Bank have been organizing the innovation competition since 13 years. An independent jury selected the Clean Peptide Technology from nearly 1,500 submitted applications. Sulfotools gets quality seal "Innovative through reseach"
Sulfotools was awarded with the quality seal "Innovative through research" for its research activties by the Stifterverband für Deutsche Wissenschaft. The Stifterverband acknowledges with this seal research companies for their special responsibility for state and society. 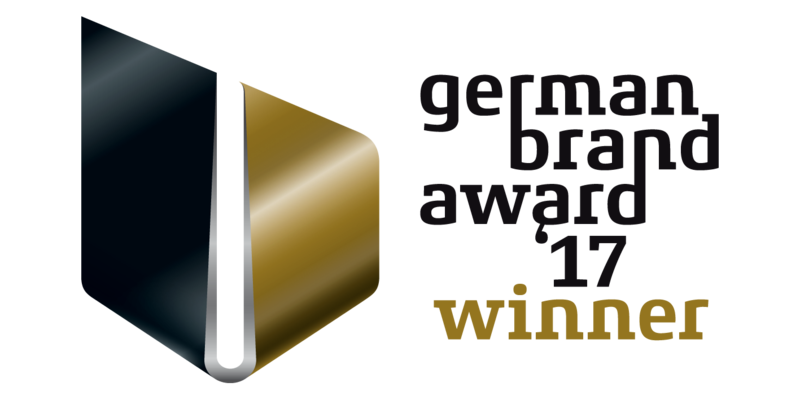 Sulfotools is among the winners of the German Brand Award in "Industry Excellence in Branding"
In the categories "Industry Excellence in Branding" and "Excellence in Brand Strategy, Management and Creation" the 10 best brand strategies are awarded as Winner. Sulfotools is among the Winners in the category "Chemical Industry". 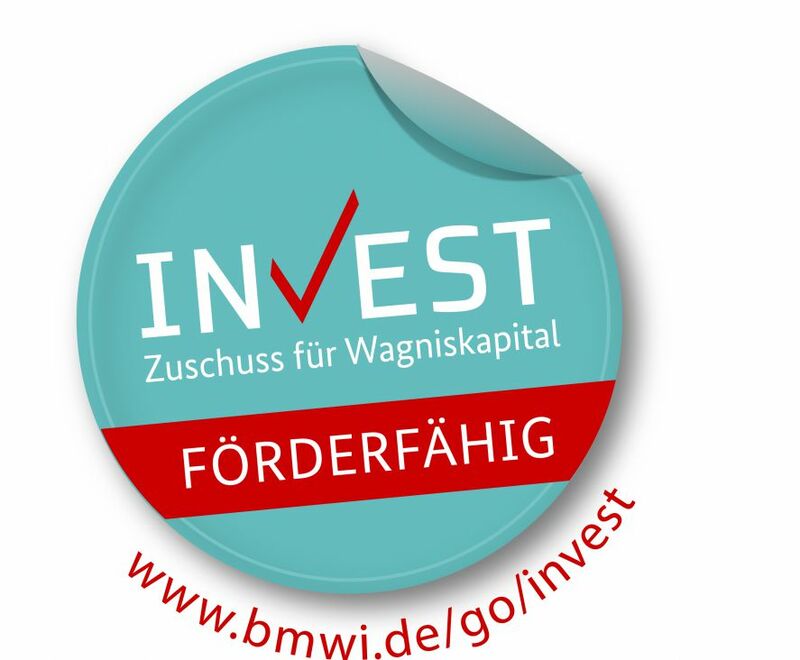 Sulfotools receives the approval for "INVEST-Zuschuss für Wagniskapital" from the Federal Ministry for Economic Affairs and Energy (BMWi). The competition hosted by the founder initiative StartUp4Climate rewards exemplary, innovative green start-ups and sponsoring stakeholders. 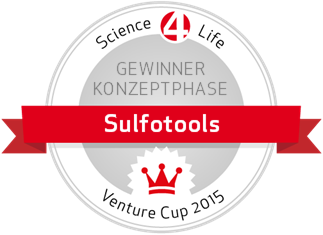 Sulfotools is the winner 2015 in the category “start-up concept”. 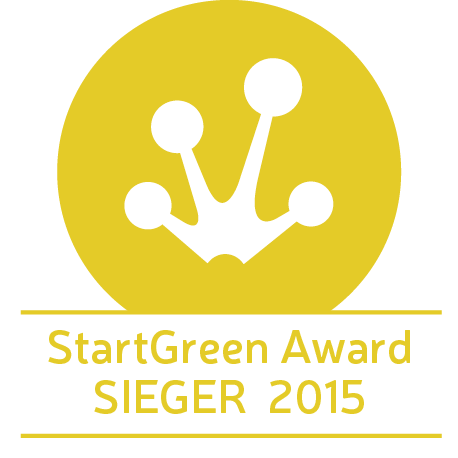 The Climate-KIC Accelerator Hessen 2015 supports start-ups from the pan-European Cleantech Community. Participants receive individual coaching, access to the regional, national and international Climate-KIC network, plus non-cash benefits. Sulfotools participates in stage 1 und 2 of the accelerator program. At the Science4Life Venture Cup, the largest business plan competition for life science and chemistry nationwide, Sulfotools is among the winners – even several times. 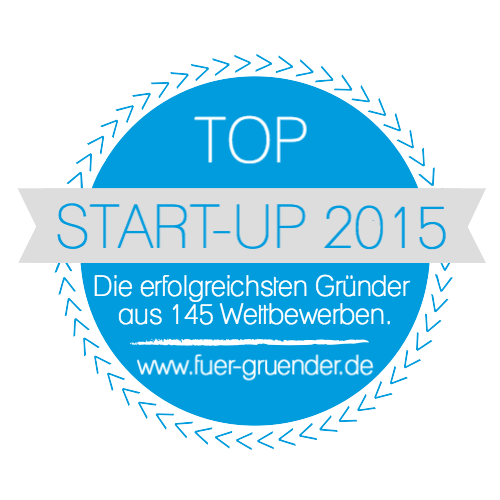 The business concept of Sulfotools is honored with € 1,000 for being one of the ten best teams in Germany. On Friday, August 17, 2018 On Friday, August 17, 2018, Daniela Wagner, Member of the Bundestag, and Philip Krämer, city council member (direct candidate for constituency 50) from the local Bündnis´/Die Grünen visited Sulfotools GmbH to get an idea of the current needs and challenges of the start-up. In the presence of the complete team, Dr. Christina Uth introduced the company. Sulfotools GmbH has developed a resource-saving, environmentally friendly process for the green production of peptides, with cost savings of up to 50% compared to the state of the art. Sulfotools Clean Peptide Technology allows the user to replace environmentally harmful organic solvents with water during the manufacturing process, thus combining sustainability with cost optimization. (Peptides are small biomolecules used as active ingredients in a broad range of products, e.g. as therapeutics, in cosmetics or in food supplements.) The company was founded in March 2016 and has been funded by the EXIST-Forschungstransfer II programme of the Federal Ministry of Economics and Energy (BMWi) since the beginning of September 2017. The short presentation was followed by a lively discussion about the challenges and requirements of chemical start-ups, as well as a guided tour through the laboratory. In an extensive company profile the local newspaper Darmstädter Echo reports about Sulfotools. The magazine Laborjournal reports in its June issue about Sulfotools. Within the scope of the ACHEMA founders award 2018, the ACHEMA Newsroom presents the 8 finalists, among them Sulfotools. Within the scope of the forthcoming award ceremony of the "Innovationspreises für Klima und Umwelt 2017 (IKU)" finanzen.de reports about Sulfotools as one of the finalists. From 133 applicants renowned jury selected the 15 best projects for the German "Innovationspreis für Klima und Umwelt 2017 (IKU)". This price is awarded for the sixth time by the "Bundesverband der Deutschen Industrie (BDI)" and the Federal Ministry for Environment, Natur conservation and Nuclear Safety (BMUB) in five different categories, as well as for the second time for the special category „Innovation and biological diversity". Sulfotools and 5 other start-ups were nominated for the final of the pan-Europe competition Green Alley Award 2017. This prize is annually awarded to start-ups for their contribution to a circular economy and environmental protection. Sulfotools among the applicants of the "Innovationspreis für Klima und Umwelt 2017"
The applicants for the "Deutschen Innovationspreis für Klima und Umwelt (IKU) 2017" are introduced in the newsroom. Every 2 years this price, awarded by the Federal Ministry for Federal Ministry for the Environment, Nature Conservation and Nuclear Safety and the Federation of German Industry, is assigned to new, innovative contributions towards climate and environmental protection. Startup Valley interviewed the founders of Sulfotools about their Clean Peptide Technology. Sulfotools among the applicants for the "GreenTec Awards 2018"
"Newsgreen" introduces the applicants for the "GreenTec Awards (GTA) 2018". 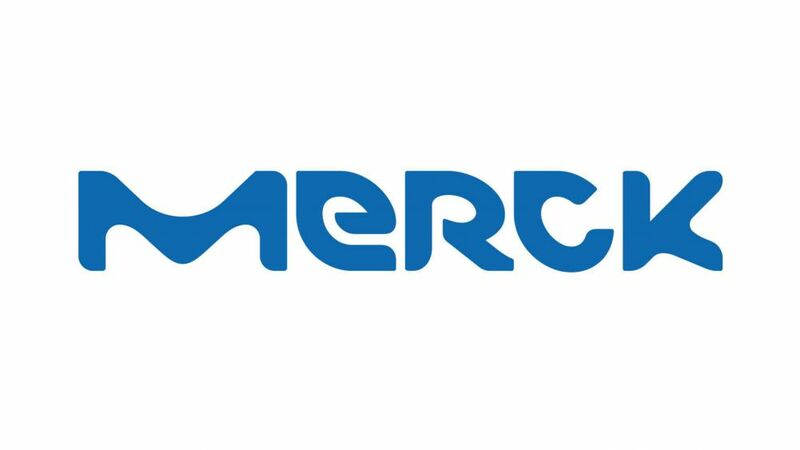 At its blog the Merck Innovation Center reports about the" Big Bang Moments" of former participants of the accelerator program. On Friday, 08. 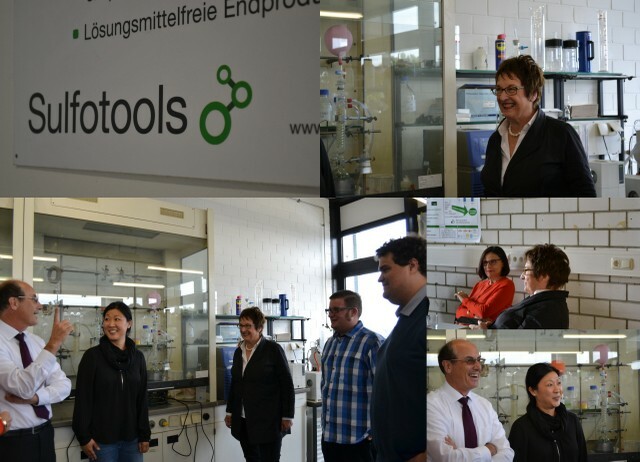 September 2017, Federal Minister of Economy Brigitte Zypries visited the start-up Sulfotools. Sulfotools participates at the workshop session at the 6. annual convention "House of Pharma & Healthcare" on 05. September in Frankfurt am Main. Sulfotools gives a talk about the peptide synthesis of the future at the 3rd event of the series "Bioökonomie in Hessen" on 23. August at "DECHEMA-Haus" in Frankfurt. Sulfotools participates at the panel discussion at the event "MINT-Karrierchancen für Frauen" of the IHK Darmstadt on 03. August. Sulfotools is shortlisted at the Emerging Technologies Competition 2017 of the Royal Society of Chemistry (RSC). The German economy magazine F.A.Z. Metropol reports in the business section about Sulfotools in the February/March issue 2017 page 48. Sulfotools in the special edition "Berlin Valley Spezial"
The German start-up magazine Berlin Valley reports in its special issue 2017 about the start-up scene in Frankfurt/Rhein-Main and introduces a few companies from that area, among them Sulfotools. The newsmagazine Focus reports about Sulfotools in the January issue 2017 page 68. The technology magazine "Hessen Biotech News" from the Hessian Ministry for Economy, Energy, Transport and State Development reports in the issue 01/2016 in an extensive article about Sulfotools. The magazine Discover Germany reports about Sulfotools in the November issue. https://issuu.com/scanmagazine/docs/discovergermany_44_november2016/112Sulfotools gets quality label "HIGHEST Start-up"
As first technology-based start-up from the region, Sulfotools convinced the jury and was awarded the quality label „HIGHEST Start-up“. The magazine Uni On of the German health insurance company AOK Rheinland-Pfalz/Saarland reports in the March issue 2016 about Sulfotools. In the scope of the special section "Green Analytics", the magazine "Laborpraxis" reports about the founders of Sulfotools and their Clean Peptide Technology. The magazine CHEManager reports on successful chemistry and pharma start-ups and how the initiative Science4Life supports scientists on their way to become entrepreneurs. From 10 May through 13 May 2016, Sulfotools is represented at the joint participation booth of the State of Hesse at the Analytica trade fair in Munich. Come visit us in hall A3 booth 320.